Rising above the Las Vegas skyline, Veer Towers, an ultra modern condominium tower in the heart of CityCenter, Las Vegas’ is the ultimate destination for dining, gaming, shopping & entertainment. Exceptional amenities and an unbeatable location come together for an enviable lifestyle that takes luxury in an exciting new direction. This is your exclusive opportunity to own an extraordinary residence in the center of it the Las Vegas strip. 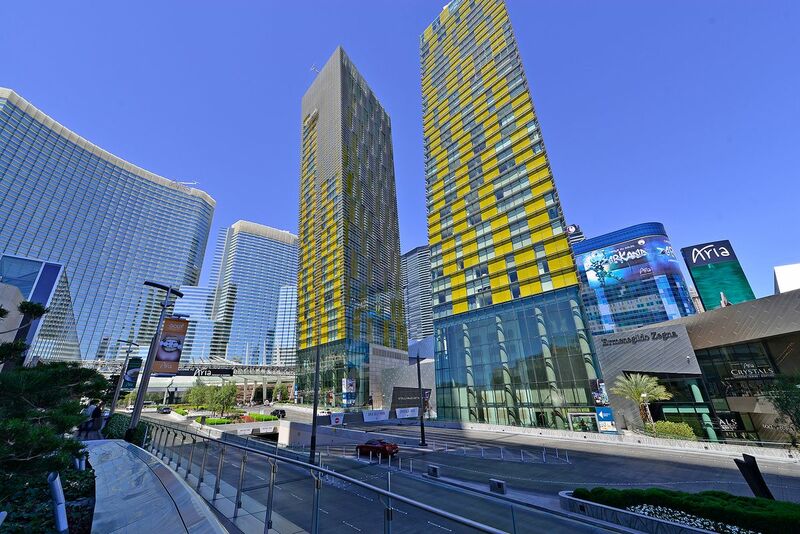 Veer Towers offers floor plans ranging in size from 500 square feet to over 3400 square feet, many of which offer views of the Las Vegas Eiffel Tower, Observation Wheel, Bellagio Fountains, and the upcoming NFL/Raiders Stadium. Veer Towers luxury residences offer expansive views through floor to ceiling windows and the finest stone flooring and countertop finishes. Experience the extraordinary every day. Veer Towers residents experience exclusive amenities paired with the privileges of living in CityCenter Las Vegas. Atop each tower on the 37th floor, Veer Towers provides unsurpassed amenities with 360° views of Las Vegas. Cool off in the rooftop infinity-edge pool, unwind in the hot tub, grill with friends at the hospitality patio or lounge in Veer Towers poolside cabanas. Veer Towers Las Vegas is located adjacent to the condominium projects of The Residences at Waldorf Astoria, Las Vegas, Vdara Resort and Hotel and The Martin condominiums. Contact us today for a private tour of Veer Towers.